Do You Have To Pay Taxes On Interest? Home>Blog>Personal Finance>Savings Accounts and CDs: Do You Have to Pay Taxes on Interest? With tax season under way, one of the questions that often comes up is do you have to pay taxes on interest from savings accounts and CDs. The short answer to that question is yes. The IRS expects you to report all of your income, whether or not you receive a form detailing what you have earned. One of the categories of income that you are supposed to report is interest. You are supposed to report interest from CDs, savings accounts, money market accounts, interest bearing checking accounts, and other deposit accounts that pay out a yield. Banks issue reports of interest earned on the Form 1099-INT. Some banks, though, won’t issue a 1099-INT unless you earn at least $10 for the year. However, just because the bank doesn’t report the amount to you, it doesn’t mean that you are off the hook. The IRS still expects you to report the interest you earn on line 8a on the front of your Form 1040. You can usually find information about the interest you have earned during the year on your bank statement. If you have earned a significant amount of interest during the year, you might need to fill out and file a Schedule B along with your Form 1040. If you earned more than $1,500 in interest during the year total (adding up the interest you earn from all your deposit accounts), you are required to fill out the Schedule B. The Schedule B is also the form you use to report dividends that you earn more than $1,500. One of the interesting quirks of the Schedule B, though, is that each of the categories (interest and dividends) is considered separate, and it’s an either/or situation. So, if you earn $1,400 in interest from your deposit accounts, and $1,400 in dividends, you don’t have to fill out and file the Schedule B – although you still report the income in the appropriate places on the front of your Form 1040. It’s also worth noting that you can still file a 1040-EZ even if you have interest income, as long as the total you earn is less than $1,500 and you don’t have to file a Schedule B. Reporting CD interest is a little different, though. When you report your CD interest depends on when the financial institution pays it to you. If you are paid interest during the term of the loan, then you are required to report the income in the year that you receive it. Double-check how the bank pays the interest, though. Some banks pay the interest into the CD account. So, even though you don’t actually receive the interest as a check or in your account, it’s still considered paid and you are supposed to report. On the other hand, if the interest is paid in one lump sum when the CD matures, you can wait to report the income. When the CD matures, and the interest is received, that’s when you report it. If you roll the CD over, and the interest along with it, you still need to report the interest as income. Pay attention to the interest that you receive from your deposit accounts. You need to report it to the IRS, and pay taxes on it as income. Note: We are not tax professionals. This is not tax advice. 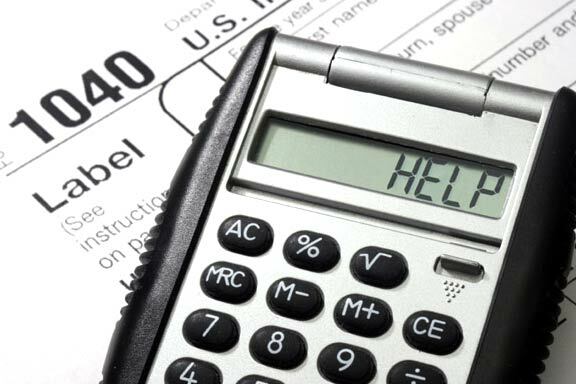 Please consult a licensed tax professional for tax advice.